The average price for this game in the past 6 months is $4.83. The game first became 50% off on Nov 18, 2015 at Green Man Gaming. Lowest historic price was $3.74 on Feb 25, 2019 at Fanatical. For some reason the Magicka 2 Deluxe is selling better at GMG vs. the cheaper Magicka 2 standard edition. Included in the deluxe is the Warlord Robe Set, Orchestra Soundtrack, Digital Interactive Map, and Cultist Robe set. The same 20% discount is enjoyed on either version at GMG, though I guess slightly better dollar amount savings on this Deluxe pack. The average price for this game in the past 6 months is $4.49. The game first became 50% off on Feb 25, 2019 at Fanatical. Lowest historic price was $4.49 on Feb 25, 2019 at Fanatical. The average price for this game in the past 6 months is $9.49. The game first became 50% off on Dec 27, 2011 at Amazon. Lowest historic price was $3.25 on Dec 12, 2012 at Green Man Gaming. Today only GMG is running an 80% off sale on Magicka titles. The Magicka game alone is only $1.56, or get that and all the DLC for only $6.24 which ties its lowest price ever. After a 75% instant discount + 20% stacking coupon the Magicka Collection is down to eight bucks at GMG. Includes the base game and 29 DLC/Expansions. You can get the base Magicka game alone for only $1.99 at GMG, but for just a few more probably better value going w/ this collection. Magicka Collection now the price of a footlong sub. This week GMG slashed the price 75%. Includes the Magicka base game and 8 DLCs/Expansions. Magicka Collection down to four bucks today at GMG. Ties the previous low last seen on Black Friday. Normally sells for $20. Current next best price online is $12 at Amazon. Up for a Castle Crashers-esk co-op RPG? Green Man Gaming has the Steam activated PC download Magicka Collection for only $4. Includes the base game and tons of DLC. The average price for this game in the past 6 months is $3.22. The game first became 50% off on Nov 18, 2015 at Green Man Gaming. Lowest historic price was $2.69 on Dec 17, 2018 at Fanatical. Most impressive discount this weekend on Magicka 2 in GMG's Paradox sale. New low by $1.20 and 68% off the usual $15. Also added today on GMG's VIP sale is Magicka 2 for $10.64. Lowest price ever seen since its recent May 26th launch. Almost five bucks off the $15 MSRP. Magicka 2 live and launched yesterday on Steam for $15. After coupon at GMG it's down to $12 saving you $3. Similar 20% discount on the Deluxe Edition dropping from $25 to $20. Magicka 2 has ... magically dropped to $10.79 today only at GMG. 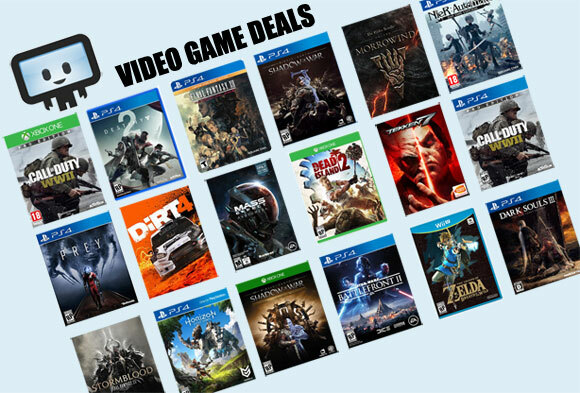 The deal is part of their VIP Gaming sale, so you'll need to login or create an account on the landing page in order to see the discount (you'll be redirected to the proper page). Best pre-order deal seen thus far on the May 26th releasing game (less than 2 weeks away). Well well, looks like the new Magicka is releasing March 26th and lo and behold a discount at GMG. It's part of their VIP gaming sale. Click "Get Deal" and login or create an account to see the $11.24 price. The average price for this game in the past 6 months is $2.05. The game first became 50% off on Jan 2, 2013 at Steam Store. Lowest historic price was $1.56 on Apr 9, 2015 at Green Man Gaming. Everyone's favorite co-op dungeon/magic blastin' roamp, Magicka is on sale at GMG for only $2.48 per Steam key. Grab a friend or two and check out this hilarious action adventure game. The average price for this game in the past 6 months is $4.10. The game first became 50% off on Oct 30, 2017 at Fanatical. Lowest historic price was $4.10 on Jan 26, 2019 at Green Man Gaming. The average price for this game since released is $15.74. Lowest historic price was $15 on Sep 21, 2015 at Green Man Gaming. The average price for this game since released is $10.16. Lowest historic price was $9.75 on Mar 14, 2014 at Green Man Gaming. Magicka: Wizard Wars public alpha released yesterday. Today you can buy starter packs for this free to play PvP arena game. GMG has a coupon discounting them by 20%.